Trapjaw, originally uploaded by AndyBartlett. 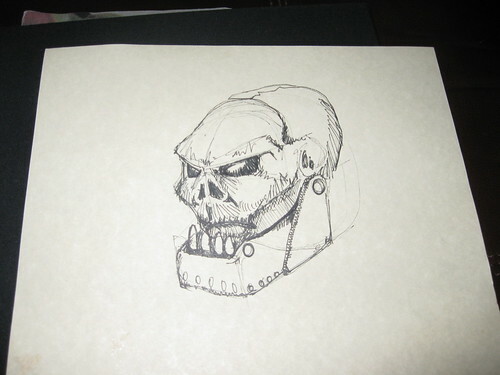 I added four pictures of recent drawings to Flickr; this is a goofy zombie variant of “Trap-Jaw” from He-Man. It’s pretty average, but is indicative to me of why I need to work more on my drawing. The ability is there, I just need to refine the technical stuff and practice a *lot* more. Anyway. Check out the sidebar, over there –> or go to http://www.flickr.com/photos/87598275@N00/. In addition to Trap-Jaw, I posted pictures of a two-page spread of just random sketches I did last night before bed and three pages of really genuinely dreadful sketches of Dr. Horrible I drew after I finished watching the “Sing-Along Blog” for the first time on April 10th.